How much are normal daily temperature fluctuations costing you in your paint finishing operations? Get access to your FREE paint process waste calculator now! 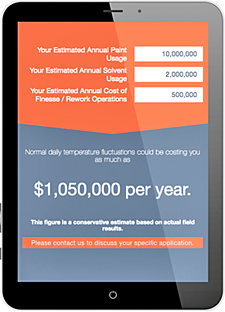 The calculator factors in your paint and solvent usage amounts to provide an estimate of the annual savings you could realize from Saint Clair Systems viscosity and temperature control solutions. 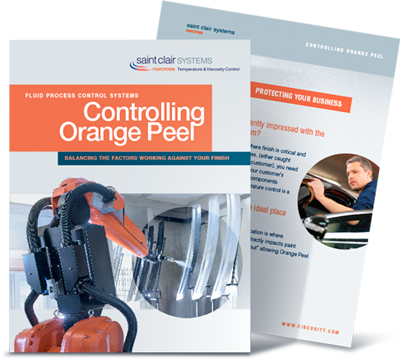 BONUS: Along with the calculator, you will gain access to our free eGuide “Controlling Orange Peel,” which provides tips on identifying and eliminating the factors that lead to orange peel in your finished product.